Who cares about television antennas these days, you're probably asking? Many people might care soon. 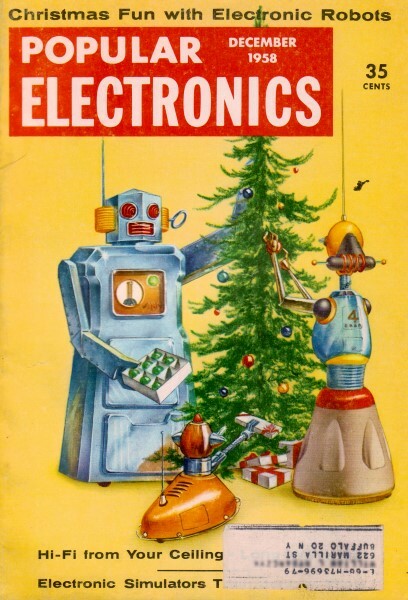 The December 2012 edition of the IEEE's Spectrum magazine had an article titled, "TV's Future: The Broadcast Empire Strikes Back." According to author Lynn Claudy, the Advanced Television Systems Committee (ATSC) is working on a standard called Mobile DTV (MDTV) in the United States. MDVT enables broadcast stations to deliver programming to some cellphones, laptops, tablets and to moving television screens in cars, trains, and buses. Furthermore, a scheme to enable on-demand programming, user feedback (voting, polls, quizzes, games), and other advanced features is under investigation in research labs and field trials. Local businesses welcome a rebirth of regional over-the-air-broadcasts (OTA) to provide pricing competition with dominant cable TV. So, although this article was originally written in 1958 when only OTA broadcasts existed, it may soon be a valuable resource for you and your neighbors when deciding on which antenna to put up on the roof. Antenna rotator article are forthcoming. The best TV antenna made isn't good enough for your set unless it's matched to the needs of your location. Distance from the transmitter is the biggest factor affecting TV reception, but local terrain, adjacent buildings, or mountains can cause the signal to come in strong or fade out altogether regardless of distance. The only way to insure a good signal is to choose the right antenna for your location and for the channels used most frequently. By the time the signal reaches the receiver location, it may be quite weak. Therefore it's important to have the best possible antenna installation. Height, type and direction are all important factors. Adjacent-channel interference, which is a frequent troublemaker, seen as weaving diagonal lines, is caused by a signal from the next higher or next lower station. If you are tuned to Channel 11, for example, a strong station on Channel 10 or 12 may cause adjacent-channel interference. On the other hand, co-channel interference (vertical "windshield wiper" or horizontal "Venetian blind" black bars) is caused by a station operating on the same channel as the one we are trying to receive. This trouble usually crops up if the TV set is about half way between two stations on the same channel. Both of these types of interference can be eliminated with sharply directional antennas. In the case of adjacent-channel interference, a single-channel Yagi with a filter at the receiver may work wonders. No amount of receiver adjustment will banish a ghost caused by reflections from buildings, mountains or other objects. Antenna re-orientation or replacement are the only certain cures. The roof or outdoor antenna is easily the best and most efficient type. It is desirable in primary areas and absolutely essential in fringe areas. It may be a single-channel, selective-channel or all-channel job. About 50 different designs are available today but selection of any particular one depends greatly on the terrain. 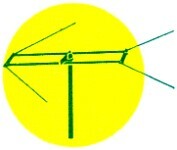 Folded dipole with reflector. One antenna for channels 2 to 6, another for channels 7 to 13; each necessary if both high and low channels are to be received. Conical antenna with conical reflectors. Similar to previously mentioned conical antenna but slightly more directional. Conical or fan-type antenna. Model shown has high-channel stubs. 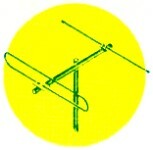 A very popular antenna, with moderate gain and directivity. Stacked conical with straight reflectors. A moderate-gain broadband antenna for use in semi-fringe areas. Vee-beam antenna. Low gain on Channels 2 to 6, fair on 7 to 13. Each of four elements should be at least 45" long; if not, reception on low channels will suffer, and an antenna should be used on high channels only. Stacked in-line antenna. Effective moderate gain assembly with good response over all of the various channels. High-low antenna. Individually adjustable dipoles with reflectors. Good all-around antenna for primary signal areas. 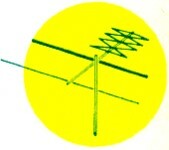 Five-element Yagi. High-gain directional single-channel antenna. Separate antenna required for each channel. In-line antenna. Fairly directional all-around antenna with good gain. Helical Yagi. 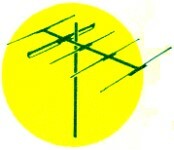 All-channel antenna with moderate. Performance better on higher channels than on low. Boom (Crossarm) - The horizontal bar or tube which serves as mechanical support for all the antenna elements. 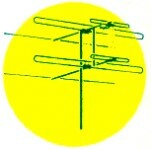 Dipole - The simplest of all TV antennas, consisting of two electrically unconnected rods or tubes arranged end to end. Transmission line is connected in center. Directivity - Ability of an antenna to select signals from one or several desired directions. Antennas may be "unidirectional" - receive signals from one direction only, or "bidirectional" - receive signals from opposite directions but not from the sides, or "omnidirectional" - receive signals from any direction. Director - A parasitic element placed in front of the driven element for increased gain and directivity. Driven Element - That element (or elements) which "collects" the TV signal. It is connected to the TV lead-in. Element - Everyone of the working parts of an antenna is called an element. It may be either driven or parasitic. Front-to-Back Ratio - A numerical ratio showing how much more signal is received from the front of the antenna than from the back. Gain - A figure expressed in decibels (db) which indicates the signal gain of a particular antenna type over that of a simple dipole. Mast - The heavy vertical tubing which supports the antenna. The crossarm is usually bolted to the mast. Parasitic Element - An element or elements not directly connected to the driven element. Parasitic elements act as directors and reflectors for increased signal strength and directivity. Reflector - A parasitic element or elements placed behind the driven element for increased gain and directivity. Stacking - Two or more antennas joined together electrically with stacking bars or a stacking harness. 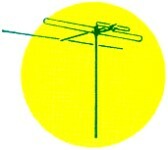 Twin Lead - The transmission line which carries the signal captured by the TV antenna to the TV receiver.